This is thirteenth in the series on the rich cultural heritage of ancient temples in India. They are richly carved and they behold ones attention for their craftsmanship. Some of these temples have carvings of Goddess Lakshmi in various forms. Each of these sculptures are marvel stone in their own right. In the Brihadeeshwara Temple at Gangaikondacholapuram on the exterior walls there is a magnificent larger than life sculpture of Lakshmi. On the Lotus flower in the sitting posture with 4 hands every minute details have been beautifully carved. In the Kailasha Temple at Ellora, there is a beautiful sculpture of Lakshmi surrounded by elephants. Here she is known as Gajalakshmi. There are many more such sculptures of the Goddess in the various temples decorating the exterior walls. Here we see some of those sculptures. First one is at Brihadeshwar Temple at Tanjore. The second one again the larger than life sculpture is at Kailasha Temple, Ellora. The third one is at Srirangapattana Temple where Laksmi is sitting at the feet of Vishnu. I shall feature more such sculptures as I discover them. I love seeing these Indian carvings, and craftsmanship is an understatement. Lovely captured the sculpture of Lakshmi! Wish to visit the Gangaikonda... some day. wow,picture collection of the ancient temples...thanks for sharing! Another wonderful look at your world, Rajesh, with its incredible temples! Wonderful captures as always!! Magnificent! I always find your posts very interesting, thank you Rajesh! Again stunning!! Boom & Gary of the Vermilon River, Canada. Wonderful art. I like the poetic stonework so much. India must have the most amazing sculptures and carvings. Great shots! Great captures of these amazing stone works. Such beautiful stone carvings -- like poems! Exquisite work indeed! Beautifully captured! Excellent and beautiful sculptures. No doubt they are very artistic, India has a treasure. Marvelous and amazing pics. Thanks for sharing. Poetry in Stone is the perfect title for your posts featuring these amazing and intricate carvings. The Goddess Lakshmi is beautiful and I also think the elephants are wonderful. 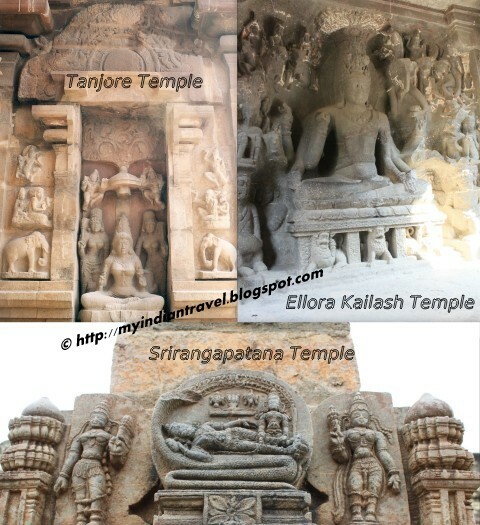 Interesting and educational to learn so much history and cultures of the temples and sculptures from your blog. Have a nice day. Belur N halebid are a treasure trove for these sculptures carved from stones! Lakshmi looks very serene in the first, the simplicity of the surroundings adds to the effect. It is amazing what people could do with the meager implements. Sweet! 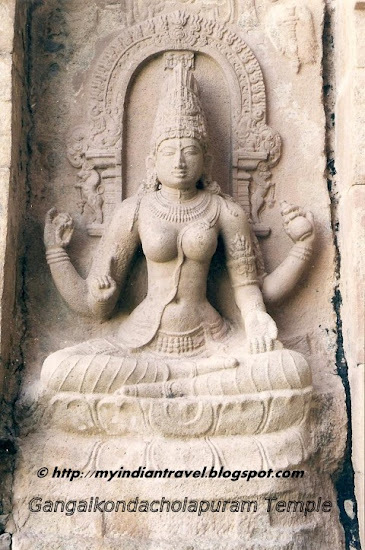 The Lakshmi at Gangaikondacholapuram looks amazing. Another interesting and fascinating sculptures! I enjoyed the sculptures. Thank you. Gangaikondachozhapuram is one of my most fav. haunts when i travel south. Can never tire of its awesome beauty. Thank you all for appreciating this wonderful craftsmanship. Another Beautiful Post of a wonderful series !! Navaneeta Krishna Temple, Dodda Malur.